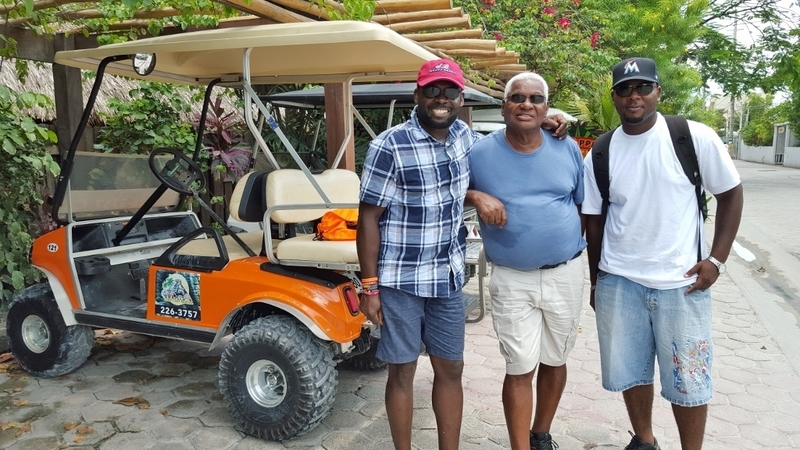 Saturday morning, June 13, thirty–three of the forty-nine members said their goodbyes at the hotel as they left for the Philip Goldson International Airport, Belize City, for the one hour and forty-five minute flight back to Miami International Airport, Florida. travels and prayed for them at the hotel since I had decided prior to arrival in Belize to spend an extra day for rest and relaxation. 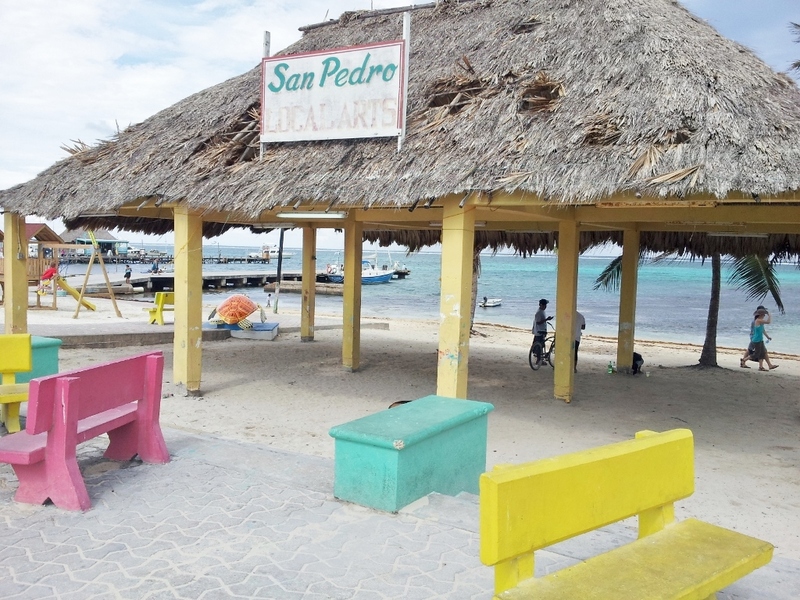 I had already made plans to go to San Pedro, in the Ambergris Caye, a 90-minute boat trip from Belize City. 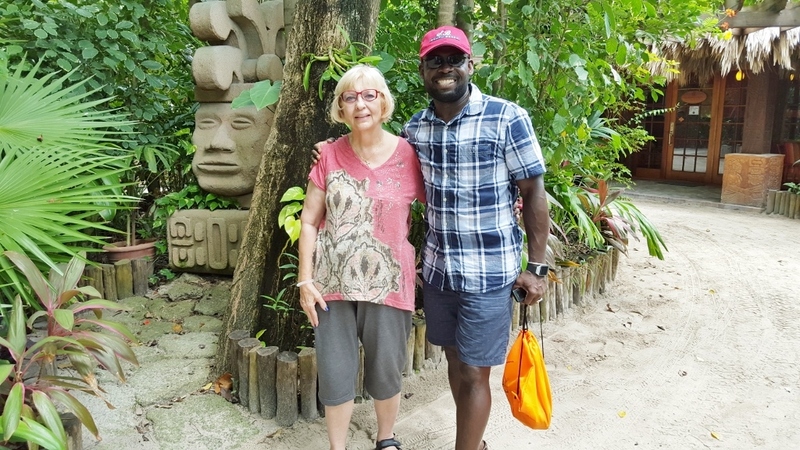 The Team Mission Leader, Erna Cunningham, went to the airport to see the team checked in and on their way. 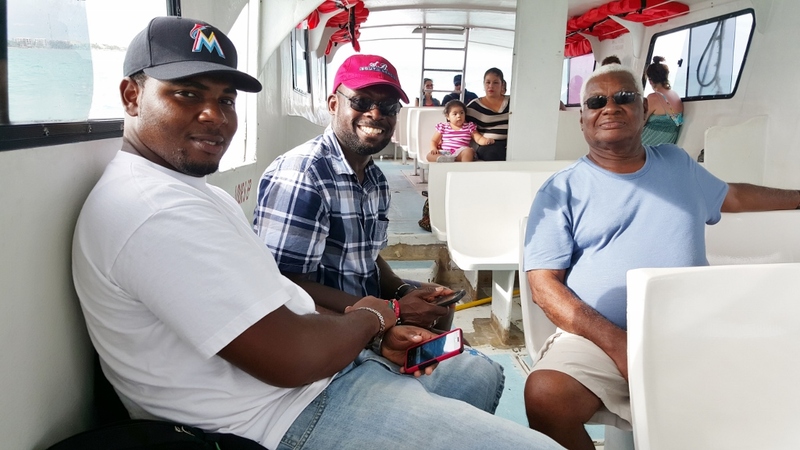 The other eighteen members who remained in Belize either went to visit or stay with family and friends, or engaged in other fun activities in the city. 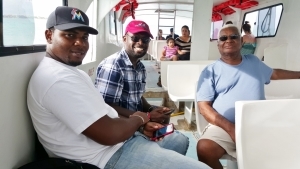 On the water taxi in route to San Pedro. the water taxi felt long but it was a lovely ride. 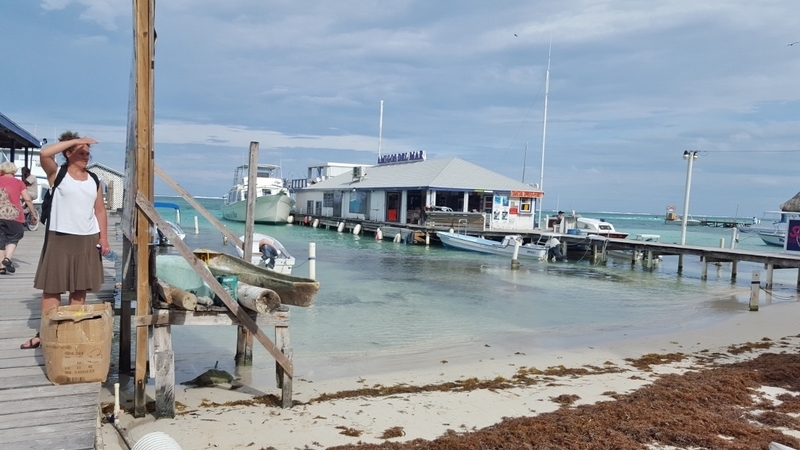 We first stopped for passengers to disembark and others to embark at Caye Caulker, the island we previously visited on Sunday after the Eucharist at the Cathedral. 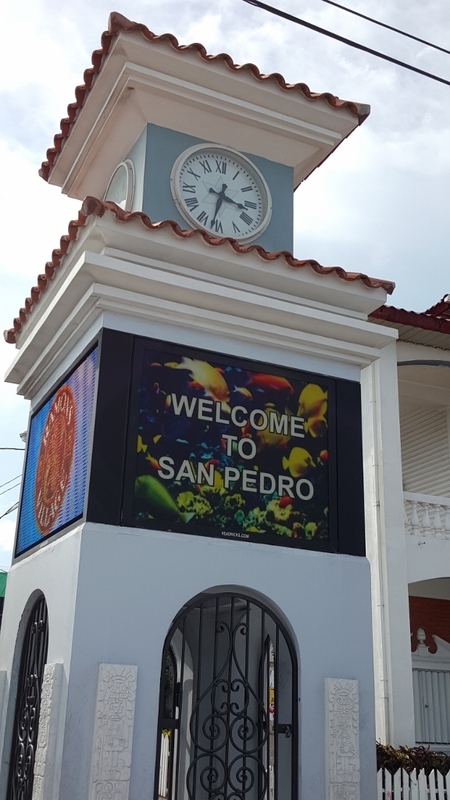 San Pedro is a beautiful town. On arrival, we were taken to a golf cart rental company so as to rent a golf cart for the few hours we were going to be there. The people of San Pedro drive golf carts although there are motor vehicles as well. 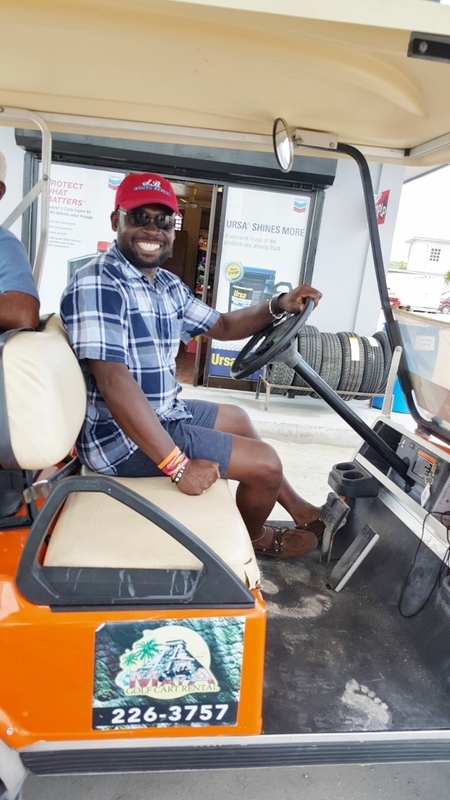 I had fun driving the golf cart and we all enjoyed the novelty of riding around a town in this vehicle. The day was well spent having fun and relaxation. We had lunch at the “Pineapple’s Seaside” Restaurant, which is located on the grounds of the Ramons Village Resort. It is a gorgeous place with a unique Mayan atmosphere. We were also able to do a little shopping and to drive and walk around the town a bit. In the evening, after returning from San Pedro, I packed and then went out for dinner at the Celebrity Restaurant in Belize City. 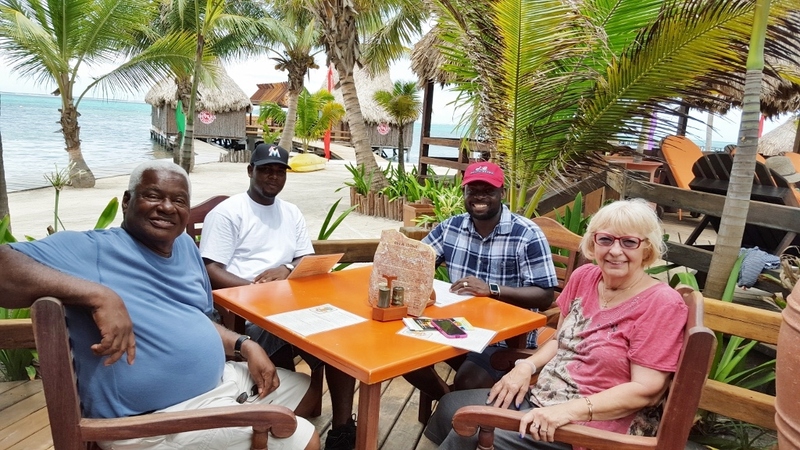 It was a wonderful way to end the mission trip to Belize by eating grilled red snapper, about 16 inches long on my plate. Very soft, tender and tasty! Driving a golf cart on the streets of San Pedro. Great fun! Father Tony, Wilton Gray, and Sehon Richards. Having Lunch at the Pineapples Restaurant, in the Ramons Village Resort. 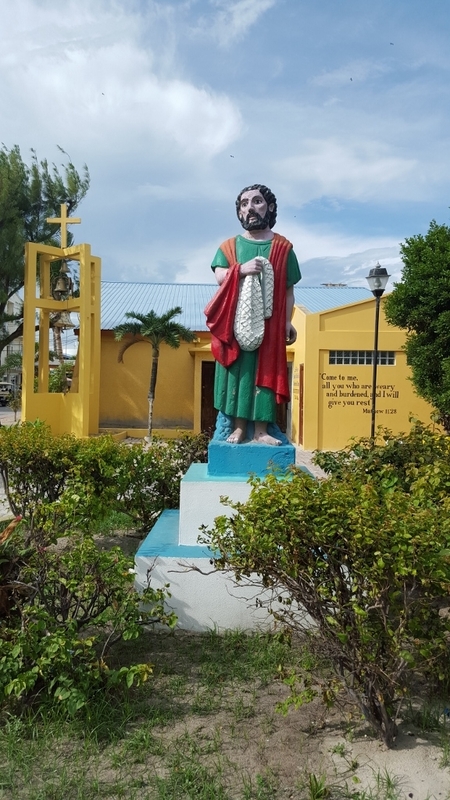 The Statue of San Pedro, outside of the Roman Catholic Church. The Rev. Dr. Anthony B. Holder is an Episcopal Priest in the Diocese of Southeast Florida, serving as the Third Rector of Holy Sacrament Episcopal Church, Pembroke Pines, Florida. Born in Barbados, Father Tony, as he is commonly called, has served as a priest in Barbados, Illinois and now Florida. Prior to entering seminary, he was a graphic artist and an Art Teacher at a high school in Barbados. While in the Diocese of Springfield, Illinois, he served in a number of positions including as Spiritual Director of Happening and Church Camp, Regional Dean, Standing Committee President, and a Clerical Deputy to General Convention. In the Diocese of Southeast Florida, he served as a member of the Commission of Social Justice and Immigration, and a member of the Search Committee for the Bishop Coadjutor and Fourth Bishop of Southeast Florida. Dr. Holder and his wife have two children. They enjoy traveling, spending time together, and being with family and friends. Personally, Father Tony enjoys Art, reading, tennis, and physical exercise.